Hope you have been good... I've missed blogging a lot. 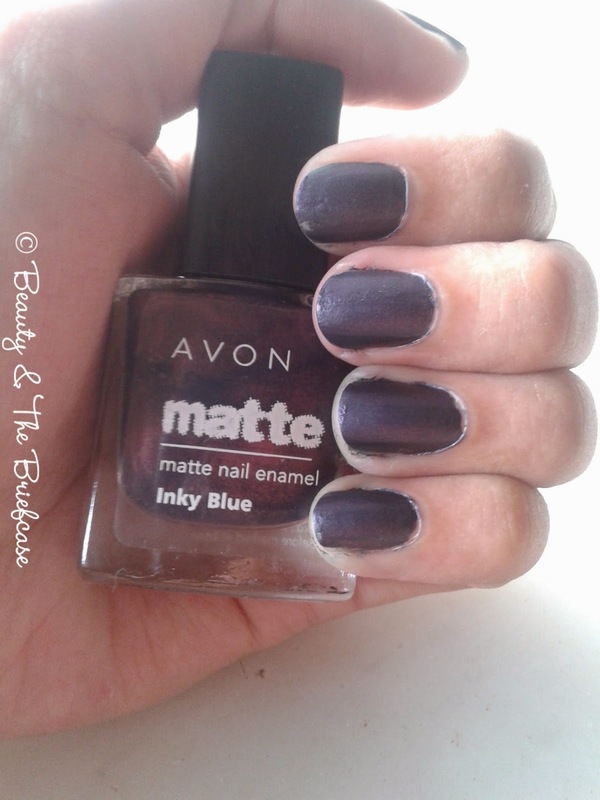 So I'm back today with a review of a matte nail polish from Avon in the shade Inky Blue. The post is going to be short. I don't want to bore you with unnecessary details. Read on! So today in reviewing this unique shade which is a rich ink blue with slight shimmer to it. You can clearly notice in it bottle but it doesn't show up on the nails. I don't really mind that. 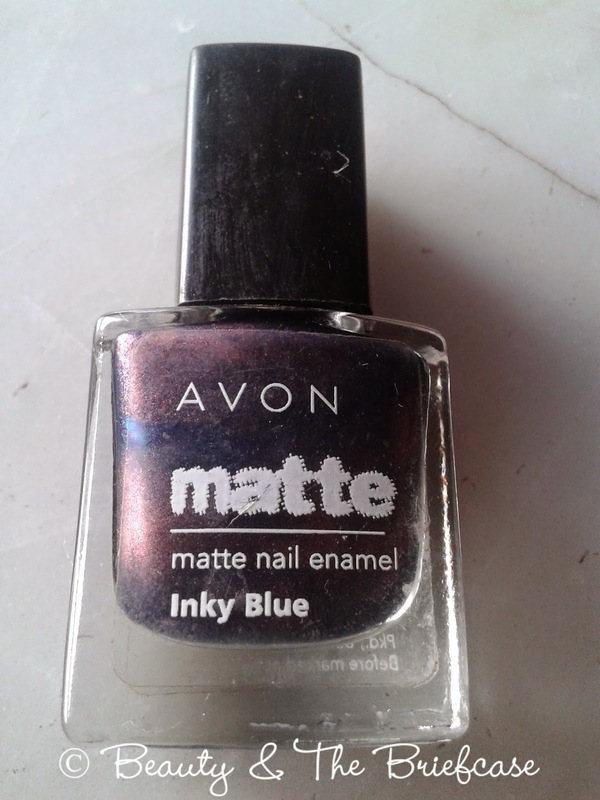 If you see the pics clearly it looks more purple-ish in the bottle but on the nails it looks like a deep ink blue shade. The polish applies slightly streaky if not applied properly. I had a tough time the first time around! 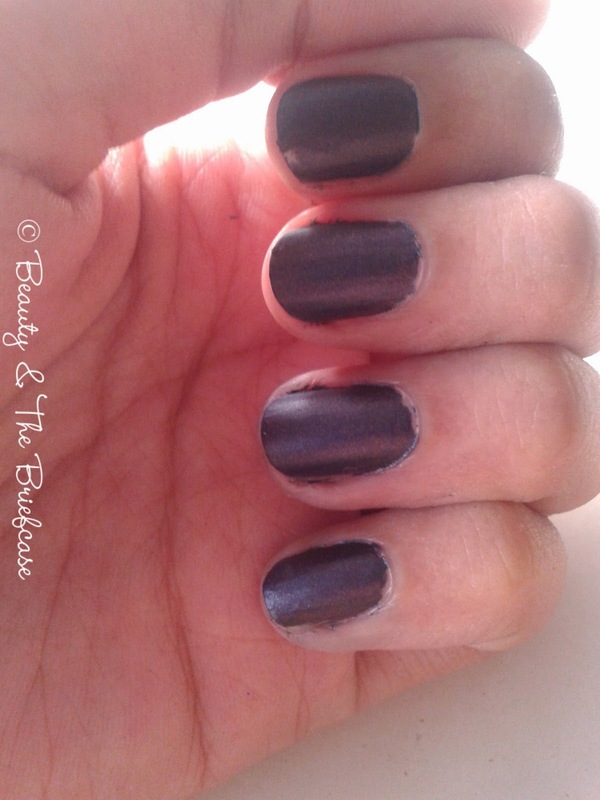 The best part about this nail paint is the fact that it dries and settles into a matte finish in a couple of seconds... I'm pretty impressed with that. One swipe is all you need to get an opaque coat of the shade on your nails. It stayed on my nails for 3 days the first time without chipping and 4 days the second time. That's not so bad given the price tag. Its a little streaky. I had a lot of issues when i was applying it for the first time. 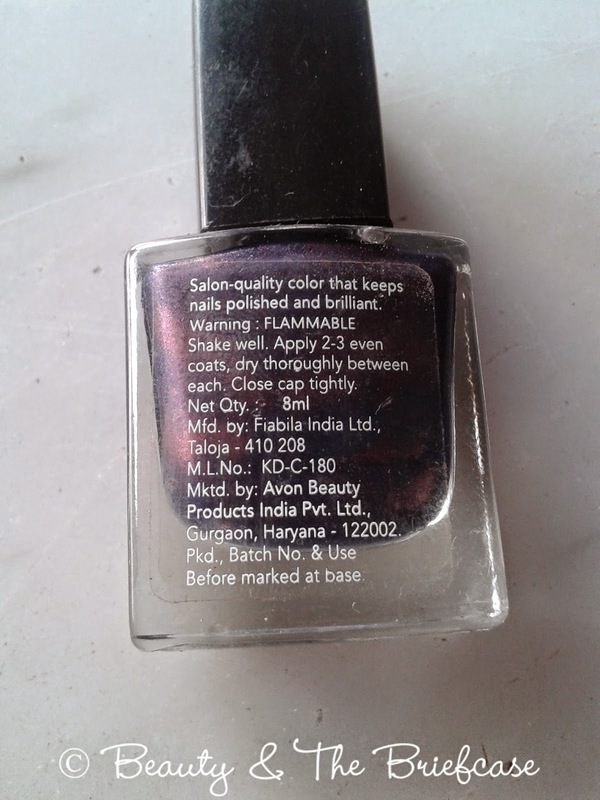 Overall Verdict: Its a pretty unique shade which settles into a matte finish in a couple of seconds. Lasts for 3- 4 days without any chipping with an even amazing price tag. I think you should definitely try out this range. I know lately i have been posting a lot of nail paint reviews... so i have finally decided that i will post nail paint reviews on Fridays... will come up with some name for that as well! Hope you liked this review... Do leave your comments below!